Our brilliant in house medical Chiropodist, Joyce Veitch M.INST.Ch.P, can help make your feet look and feel beautiful with a range of treatments for everything from bunions, in growing toenails, fungal outbreaks, athletes foot, smelly feet, corns and calluses, arthritis, and verucas, to flat feet, cracked heals and dry skin. Diabetes suffers will find chiropody particularly useful in maintaining healthy feet. Older people and the mobility challenged need to take great care of their feet, and are apt to get corns, bunions blisters and athletes foot. She’ll have your feet looking fabulous in no time! Micropulse technology used by CACI was first introduced as a remedial medical treatment for facial palsy. The minute electrical impulses stimulate the muscle tone of the face, giving them a deep toning workout, that gives you a youthful lifted appearance, without resorting to surgery to achieve a rested and refreshed look. To gain the maximum benefit from CACI non-surgical solutions, a course of twelve treatments is recommended, though you’ll see signs of improvement right from your first session. Lasting for an hour, each treatment will visibly improve the tone, texture and elasticity of your skin by gentle stimulation. Simply maintain your stunning new look with a once a month treatment. Come in store or contact us on 01289 304810 to find out more. Using intense pulses of light to destroy the growing hair follicle is an effective method for the permanent reduction in unwanted hair. Scientifically known as Selective Photothermolysis, the process heats and destroys hair through the absorption of light. Once the follicle is destroyed there is no hair regrowth. 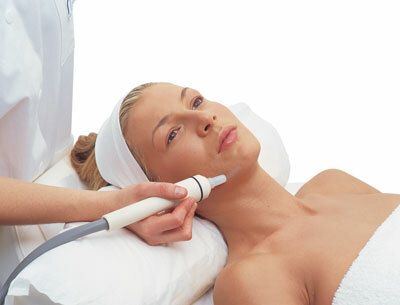 Pulsar IPL can treat numerous skin conditions at once. You can achieve collagen stimulation, a reduction in rosacea and at the same time have reduction in brown pigment blemishes in the form of freckles, age spots and other sun damage. Racoon Safe and Sensitive programme is here at Sisters to help women get their confidence back. For women who have been diagnosed with medical hair loss we offer a tested, approved and trusted hair extension service that can help. Our expert stylist who has received extensive tuition in medical hair loss issues, plus advanced training in the practice elements of application. Our initial consultation will ensure your suitability, identify hair and scalp issues, identify medication limitations, determine your expectations and ensure that your lifestyle considerations are taken into account. Clients on this programme will receive a subsidy on hair, bonding, and aftercare products.